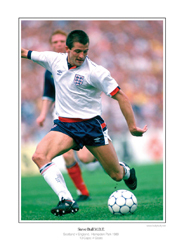 Steve Bull scored an amazing 306 goals in his career with 18 hat tricks and 9 goals at the highest level for England. Signed Steve Bull A3 size prints – 280GSM Artboard with hand signature. Call 0345 095 0024 to place your order and pay by cheque. 7 Days for delivery from payment date.